MACOMB, IL -- Western Illinois University will pay tribute to members of the armed forces, along with two of its own fallen soldiers, Capt. Derek Dobogai and Lt. Col. Robert Baldwin, Saturday, Oct. 27 as part of the seventh annual Fallen Soldiers 5K Run/Walk. The event will begin with a ceremony at 8:30 a.m. in WIU Donald S. Spencer Student Recreation Center south gym, with the race beginning at 9 a.m. in front of Western Hall on University Drive. 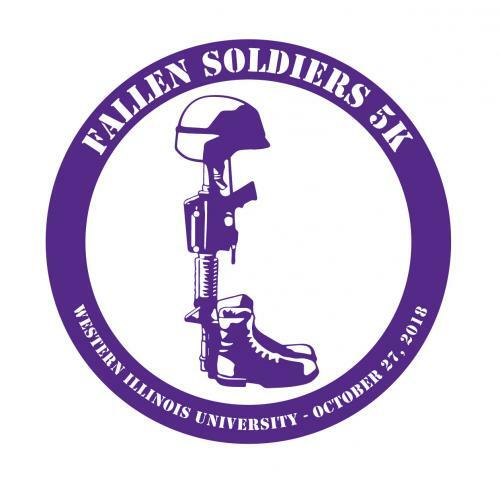 Since 2012, the WIU Fallen Soldiers 5K Run/Walk has raised more than $100,000 for the WIU Fallen Soldiers' Scholarship Fund, which honors the two alumni who were killed in the line of duty. With close to 600 participants, the WIU event is the largest race in McDonough County. Dobogai, who graduated from Western in 2003 with a bachelor's degree in law enforcement and justice administration, was among the 14 U.S. soldiers aboard a Black Hawk helicopter that crashed Aug. 22, 2007 in northern Iraq. Baldwin, who earned a bachelor's degree in industrial technology from WIU in 1993, was killed Sept. 21, 2010, when his Blackhawk UH-60 helicopter carrying international troops crashed during combat operations in the Zabul province of Afghanistan. Early bird race registration is $25 (until Oct. 8), which guarantees a t-shirt and a finisher medal (student registration is $20 until Oct. 8). After Oct. 9, registration is $35. Race sponsorships are also available. Sponsorship levels include: race route sponsor, $250; mile-marker sponsor, $1,000; and finish line sponsor, $2,500. In addition, for a $100 donation, Honor a Vet Sponsors may honor a friend or family member who has served or is currently serving in the military. Every honoree will have his/her name, rank, and military branch listed on an individual sign, which will be placed along "Veterans Row." For more information, to register and/or to become a race sponsor, visit wiu.edu/fallensoldiers or email fallensoldiers5k@wiu.edu.